BlogHow Weather Affects Skin? Protect Your Skin With These 4 Ways. To protect yourself from harsh weather like winter you have the hat, gloves, jacket, and thermos of coffee to keep yourself warm. However, we forget one part to protect from harsh weather is skin. Our skin gets an effect from all-weather whether it is hot, humid, cold, or dry. Every weather condition can deprive moisture of your skin complexion. In this article, we will describe how weather affects skin and ways to protect your skin. What does winter weather do to your skin? In cold weather humidity level is very less due to that air gets drier. The drier air absorbs moisture from your skin which results in flakiness as well as dryness in skin. Throughout the winter season people suffer from dryness, roughness, redness, crack in the skin. There is one skin problem called eczema to break out mostly in winter seasons. What should you use? Protect your skin with these 4 ways. Moisture level in the skin is very essential and in harsh winter season skin becomes dry. 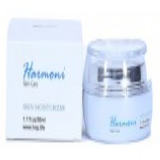 To maintain moisture in the harsh cold season use a good quality moisturizer cream. Select moisturizer cream according to your skin types for the maximum benefits. Select the moisturizer suitable to your skin type. There are a number of moisturizers which includes SPF in the cream to protect your skin from harsh summer too. Select the cream which serves both purposes for your skin. Fluid is playing an essential role for healthy skin. In the harsh environment, our body needs fluids to hydrate the full body. Drink more water will help your body to hydrate well. Apart from water one can also take fruit juice to for vitamins and minerals to the body. Fruits have good amount vitamin c which is best for skin and also body retains that fluid. The natural way to maintain moisture and softness level of the skin is proper diet. Our body needs various types of fatty acid and from the most essential is Omega-3. For an Omega-3 one can take fish like Salmon, Sardines, and anchovies. Other foods such as avocado, nuts, chia seeds, etc also provide vitamin and mineral to the body. This is most important for the cold season. A heater just warms the temperature around you but what about moisture? We would recommend you to invest in a good humidifier to hydrate your skin. One can run a humidifier in office as well as in a room where you spend most of the time. Environment change not only affects nature but also affect the skin. Hence, a proper Omega-3 rich diet, quality moisturizer, humidifier, and fruit juices you should protect your skin.